With the global concern for air pollution rising, emissions monitoring is more important than ever. As regulation increases and as companies race towards increasing efficiency, most will find themselves having to choose between the two largest categories of continuous emissions monitoring: Extractive and In-Situ. 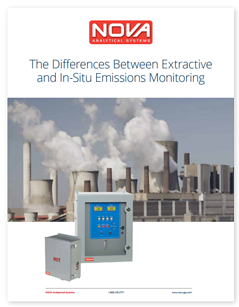 To help our customers differentiate and select from these continuous emissions monitoring systems, we have created an eBook, The Differences Between Extractive and In-Situ Emissions Monitoring. To download your free copy of this eBook, complete the form to the right.